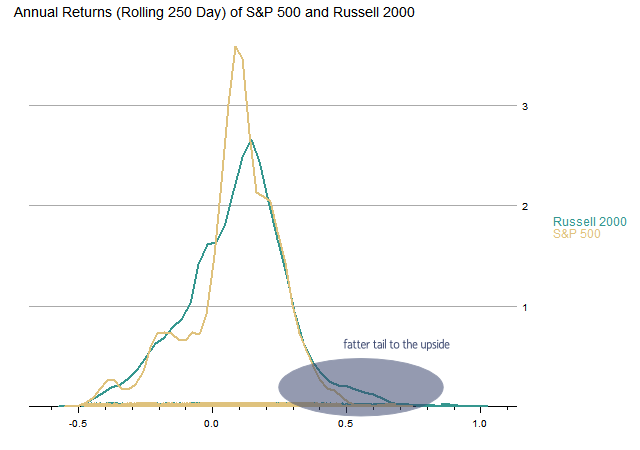 Where are the Fat Tails? 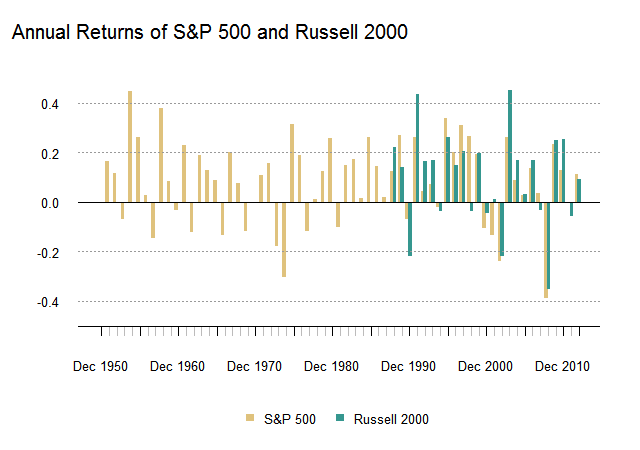 but I still am not sure I have done a good job of clearly and simply explaining some of the unique characteristics of the Russell 2000 over the last 25 years. 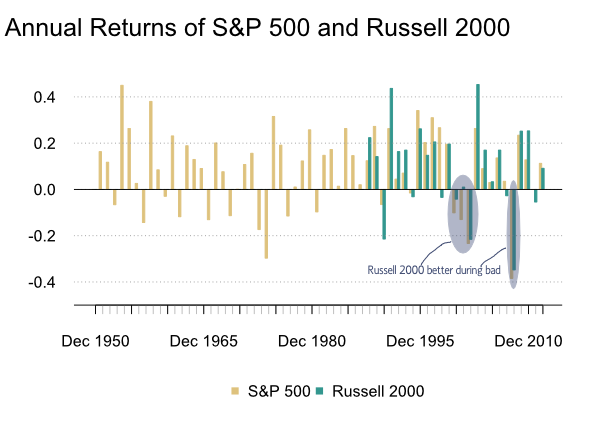 The Russell 2000 has been extremely difficult to beat because the upside has been so good (fat boy) and the downside has been the same or better (softtail).